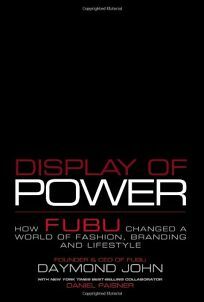 John, the founder and CEO of fashion label FUBU, presents the inspiring story of his life, from his upbringing as a poor black youth to his rise as a fashion juggernaut, recently ranked #15 in men's magazine Details' ""50 Most Influential Men,"" and presented a Crain's Business ""Top Forty Under Forty Award."" Born into a broken home in Queens, New York, John grew up hustling for money. Always interested in hip-hop and the latest fashion, John got his break selling ""urban clothes"" at hip hop tours, introducing New York style and trends to the rest of the country. Soon, John went private, creating his own brand name, FUBU-originally BUFU, By Us For Us, until the name got switched around-that would soon become as much an icon of hip-hop as the stars he sought to emulate. An inspirational tale for any reader, John specifically reaches out to aspiring black entrepreneurs, showing them how they too can achieve their goals. Business advice is speckled throughout the text, drawn from such disparate places as the kitchen of Red Lobster (demonstrating the importance of small increments in pricing) to the top of Trump Towers (the importance of branding). Informative and well-written, and less self-congratulatory than its title would suggest, this is a worthwhile read for aspiring businessmen, fashionistas and laymen alike.